I’ve had several people recently asking where they could see more pics of our home. I’ve always redirected them to the “House Tour” tab at the top of the page. But the thing is, that tab had not been updated in…ages. Well, I finally sat down last week and took a few minutes to add the rest (more or less) of the room reveals that I’ve done here on the blog. 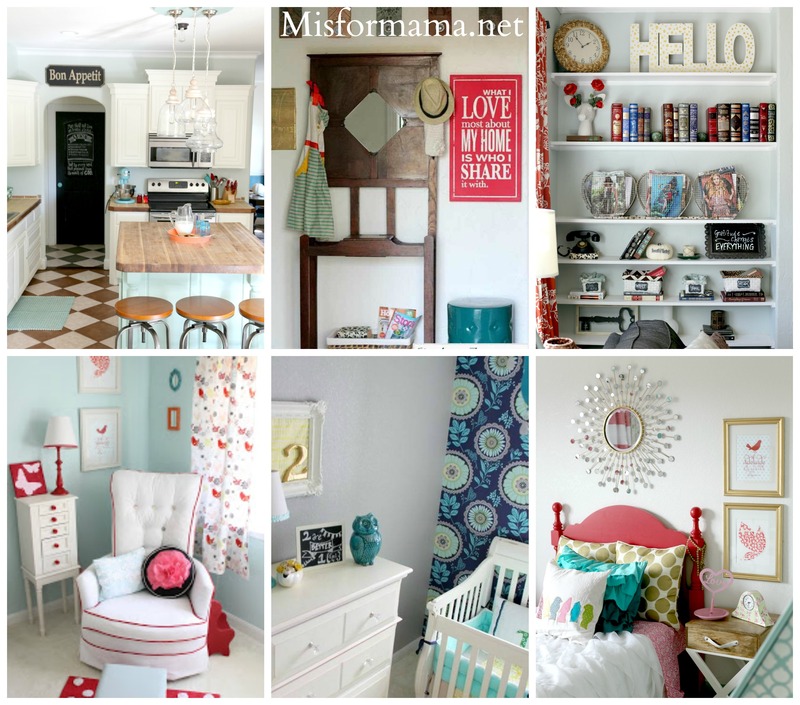 So, if you’ve just been dying to take a gander at all of the spaces (both the way they were decorated originally and in their updated states), then be sure to click on the House Tour tab at the top of the page. Here’s a peek at what you’ll see. Color! Pattern! Accessories! What can I say? Neutral is not my middle name. P.S. I know that the last two days have been blog posts of the announcement variety, but I’ve got something super-fun for you tomorrow, so don’t give up on me yet! Oh, fun. I love to look at stuff like that! I will be looking this over soon. While on Pinterest last night, I saw a cute teal and coral vanity and thought of you, but alas, no way to send that pin to you…..like you’d have time for that anyway! Lol.